Unlike a solera process, which strives for consistency over time and blends within a series of cascading barrels, the end goal of the Infinite Barrel Project is to create a unique whiskey with each release. With the Infinite Barrel Project, many whiskey barrels, or fractions of barrels, are combined into a single vessel. 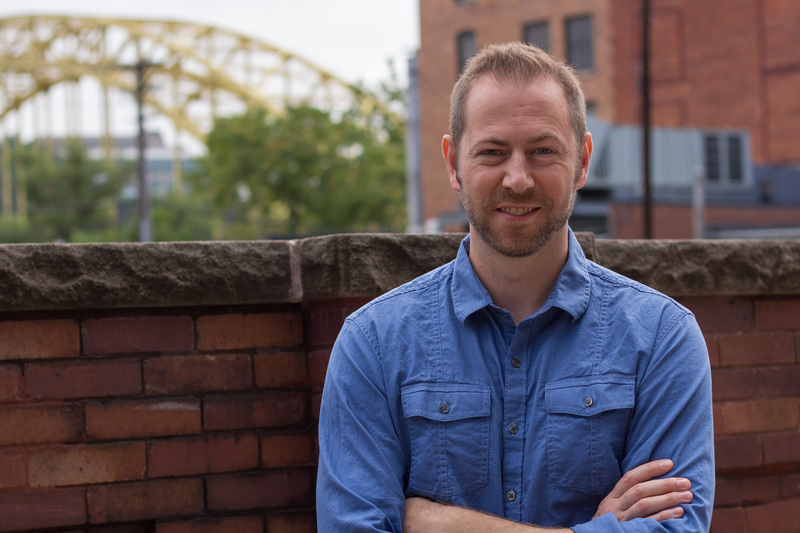 For a more detailed introduction to the Infinite Barrel Project, check out our previous article The Most Exciting Thing Happening in American Whiskey Right Now. Each time I pour a glass I seem to pick up different aromas - and each time the aromas seem to lead me down a slightly different path that becomes prominent for that specific pour. It’s almost as if the whiskey presents veins of unique scents and flavors that once identified become impossible to ignore, overshadowing the others that are present but more prominent at different times. In all cases the aromas are characteristically sweet, with gingerbread and hints of molasses and maple sugar candy. 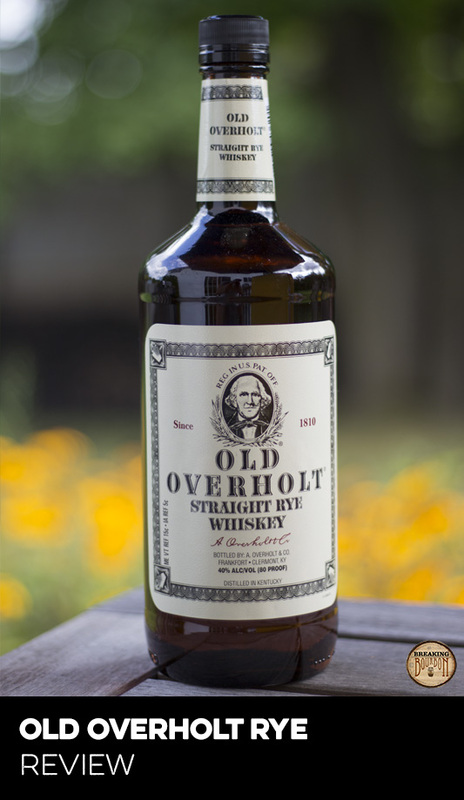 A grainy rye presents itself at times, and hints of malt are also present. There are traces of ethanol as well, but the intensity seems to vary each time. The scents are layered and complex but subtle at the same time. Like the aromas on the nose, the palate seems to vary a bit each time I have a pour, sending me down uniquely different paths. Most notably it tastes characteristically like whiskey. Not bourbon, not scotch, not rye, not Irish whiskey...but rather the broad category of whiskey where just about anything goes. Like the nose, sweeter notes do seem to be most prominent, with hints of fruit, caramel, and creme brulee. I notice a good amount of seasoned oak at times, but it’s never characteristically woody. A trace of scotchy maltiness finds a presence as well, while at other times there seems to be a vein of rye spice that cannot be ignored. It’s well integrated, but does still taste like a mashup of sorts. Like Hillrock Solera Aged Bourbon, the integration and nuanced flavors are quite subtle and lie beneath the surface, requiring deeper exploration than usual to appreciate. The finish seems to be the most consistent, where the flavors seem to normalize regardless of how they present themselves at times throughout the rest of the experience. Sweetness generally dominates at first, followed by a hint of maltiness along with a lingering rye spice against the sweeter notes. It’s a nice finish leaving me wanting to take another sip. Needless to say, this concept is a unique one. While many of us have infinity bottles at home, I’ve yet to see a producer turn the concept into an ongoing release. Sure there have been collaborations and blends, but no one to my knowledge has attempted to integrate such a wide range of different whiskeys into an ever changing release. When I asked the company’s founder Joe Beatrice what to expect out of this, he said to “expect the unexpected.” I didn’t know what it would taste like and the flavor profile, it turns out, is one I can’t quite seem to pin down. 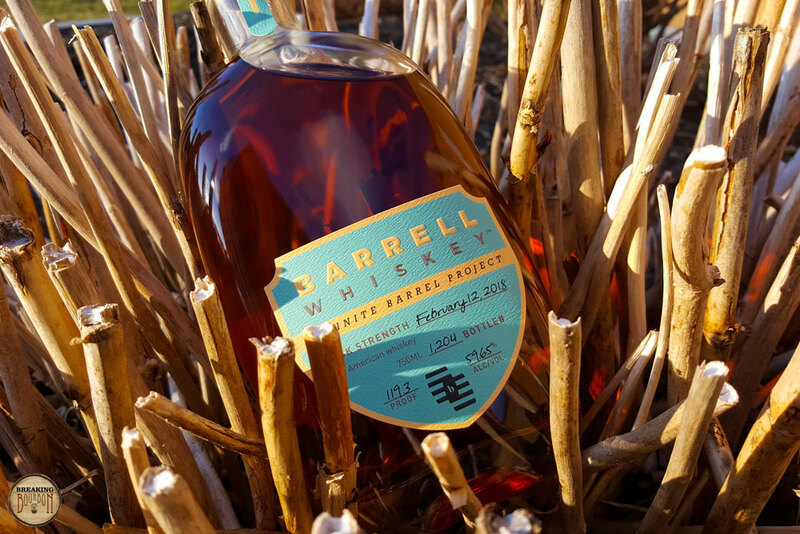 Like my own infinity bottle, this first release of Infinite Barrel Project Whiskey is a mashup of many different flavors. But unlike many evolutions of my own infinity bottle, the Infinite Barrel Project tastes good. What stands out the most about this first Infinite Barrel Project release is how the underlying nuanced scents and flavors seem to present themselves at different times. As any experienced whiskey drinker knows, a particular whiskey can taste a little different at different times given the time of day or what you might have had to eat or drink before it - not to mention that first pour from the bottle as compared with a later pour after it’s had a little time to air out. In this case, the extent of flavor variation from pour to pour and day to day was more pronounced than usual. It seems fair to attribute this to the fact that there are so many whiskeys in the blend, ultimately resulting in a more complex and layered whiskey than most. To that end, it’s been a fun whiskey to explore. The Infinite Barrel Project is going to be an ongoing release - each new dump will be denoted by the bottling date on the label with further details provided on the company’s website. 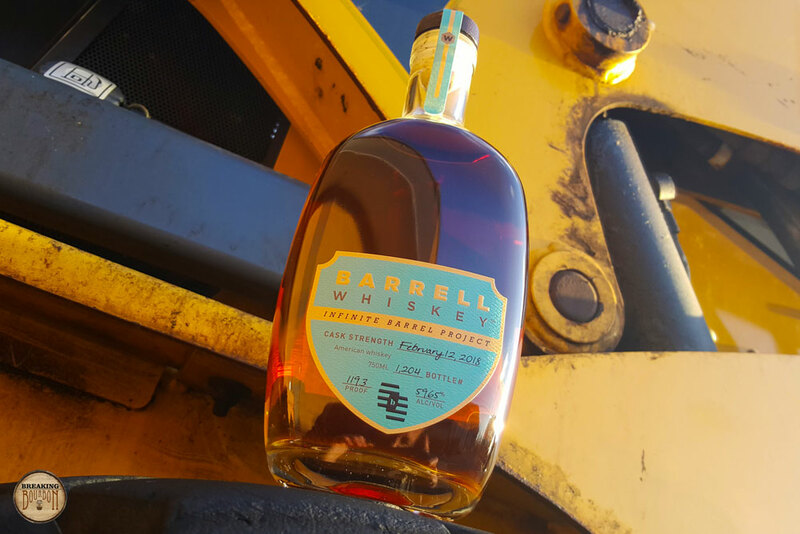 Considering the volume for each release will likely be reasonably small, Barrell probably could have priced this at a premium relative to their standard Barrell Whiskey releases. But they didn’t. While it’s still released at a premium price point in the marketplace, $70 MSRP, it’s certainly not over the top. 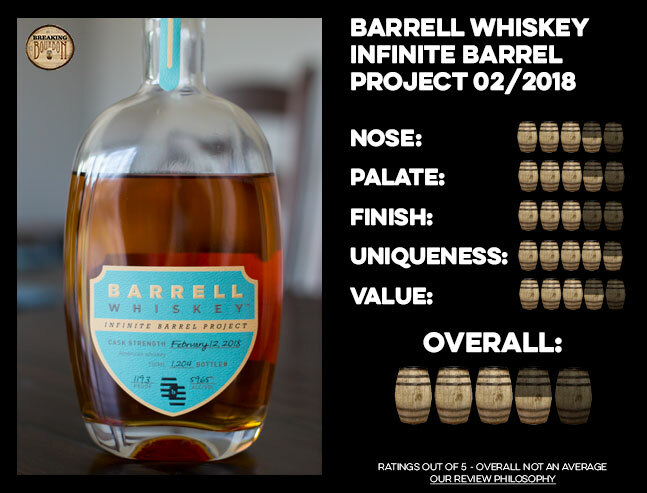 Considering this is the first release, the Infinite Barrel Project is a must-buy for Barrell fans who will undoubtedly want to compare it to future releases to experience the changes over time. 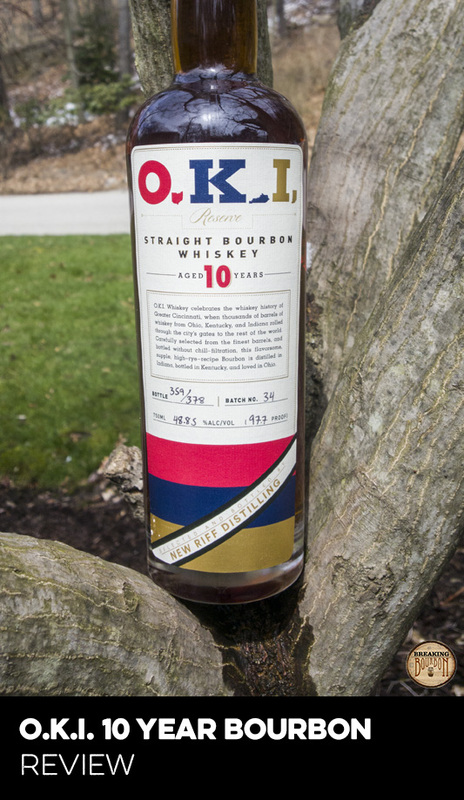 For those not necessarily interested in the concept itself, at face value it’s still a one off unique tasting barrel proof whiskey. 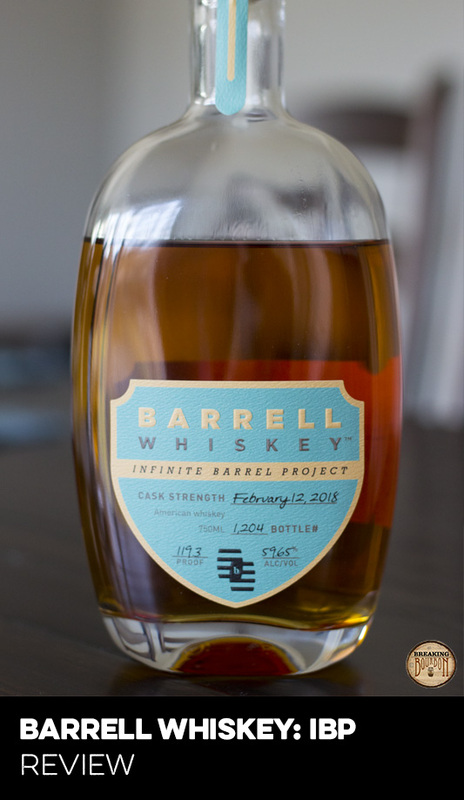 The inaugural release of the Infinite Barrel Project is intriguing - a good whiskey in its own right that also shows promise for what lies ahead. 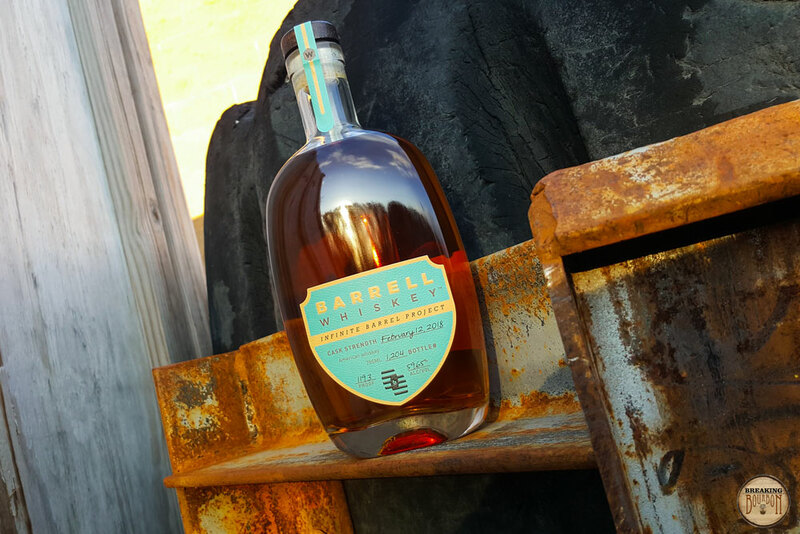 To say this first release of Infinite Barrel Project whiskey is a success would be accurate. Having discussed the project with Beatrice and master distiller Tripp Stimson prior to tasting it, I was both excited and apprehensive about what would be in store. Regardless, the concept intrigued me so much that it quickly became a focal point of mine. 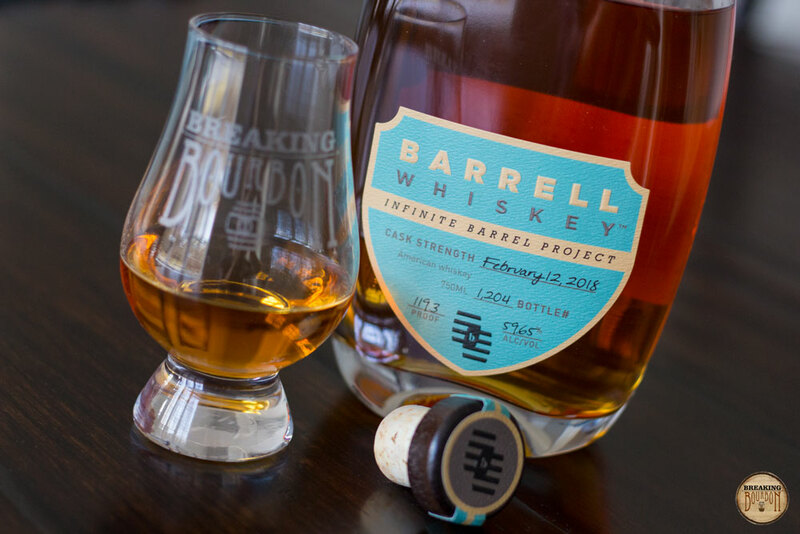 The integration of flavors in this release of Infinite Barrel Project is well executed, though it is still a mashup of many flavors as infinite blends tend to be and one that I feel could transform into something even better and more layered over time. It has me going back for more and I would say that my curiosity to discover something new each time I sip it, along with anticipation of future batches yet to come, is what drives my affinity for not only this release but for the concept as a whole.